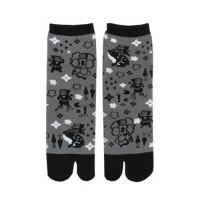 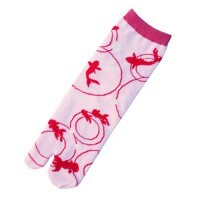 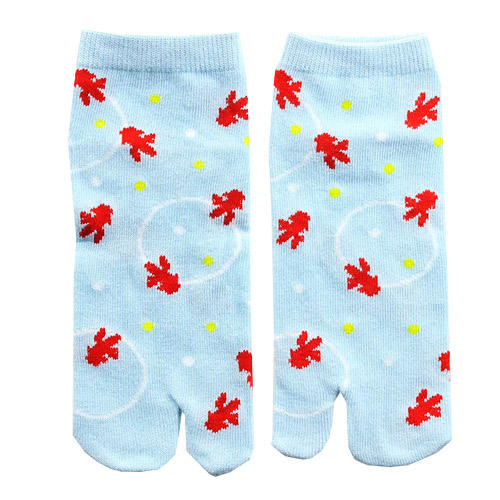 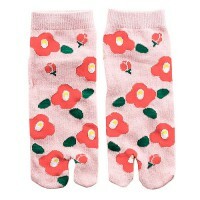 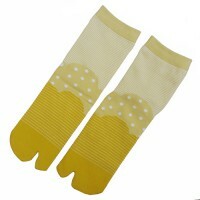 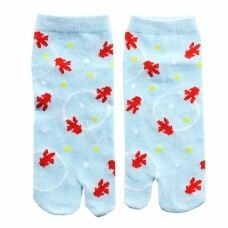 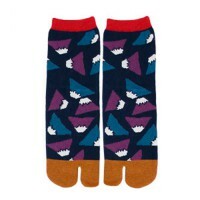 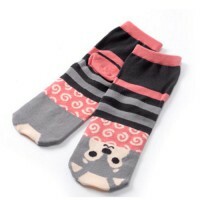 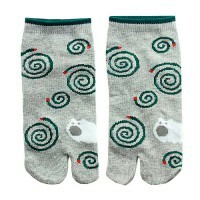 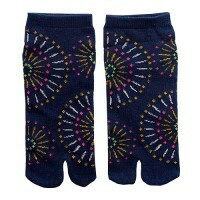 Tabi socks are Japanese toe socks. 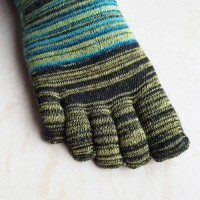 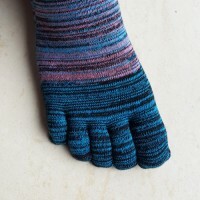 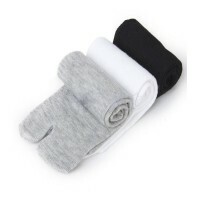 They fit like ordinary socks, but have the advantage that the big toe is separate from the other toes.This makes it possible to wear flip flops with socks. 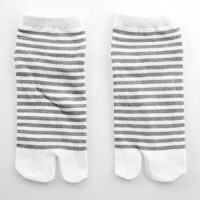 The socks are made out of cotton, polyester and spandex. 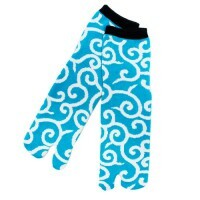 These kingyo tabi are turquoise with goldfish and water bubbles.